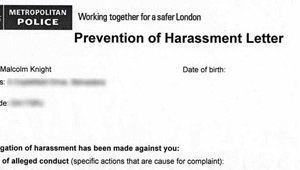 An example of an unfounded harassment warning, issued unlawfully on behalf of a local authority. Police harassment warnings are a one sided, and often dishonest account of a grievance between two parties. Not only do the police commonly hand them out without ever bothering to confirm the truth of the allegations, they then remain on record where they can cause damage at a later date, preventing you from getting a job or used as evidence to prosecute you. They are in effect a verdict without trial. Harassment warnings – or PINs as the police refer to them (Police Information Notices) are formal written notices given to people who have been accused of causing another alarm and distress. They contain an account of the incident as alleged by the complainant and a warning that any further incidents could result in arrest and prosecution. Each harassment warning contains details of alleged conduct which can range from exaggeration, wrongful accusation through to outright fantasy. The police issue PIN notices – or so they claim – to serve as a ‘reminder’ to stay away from the complainant. The notice will often conclude with blithe assurances that the document isn’t an indication of guilt. However, these warnings become a permanent record on police computers and can be used and disclosed to your detriment. Whenever a harassment warning is issued an entry is made on the Police National Database (PND) and a corresponding warning flag is placed against the recipient’s name and address on the Police National Computer (PNC). The PND entry contains a full list of the allegations as they appear on the warning. No rebuttal, explanation or denial of the allegations are entered even if they are given. Although they do not show on basic criminal record checks, they are disclosed on enhanced criminal record checks. Which means if you are applying for a visa or working in a high security environment then such a warning notice could cause you problems. Worst still harassment warnings can remain on police files for 7 years; often longer if they go unchallenged. The reason that harassment warnings are so ineffective is not only do they often defame innocent people, they also encourage MORE harassment warnings. Those receiving them commonly make counter allegations simply out of spite for having received a notice themselves. In which case, the police will usually serve it and become a spiteful pawn in a vicious circle of he-said she-said. However, in a disagreement between two parties, the police will commonly favour whoever makes the first complaint. 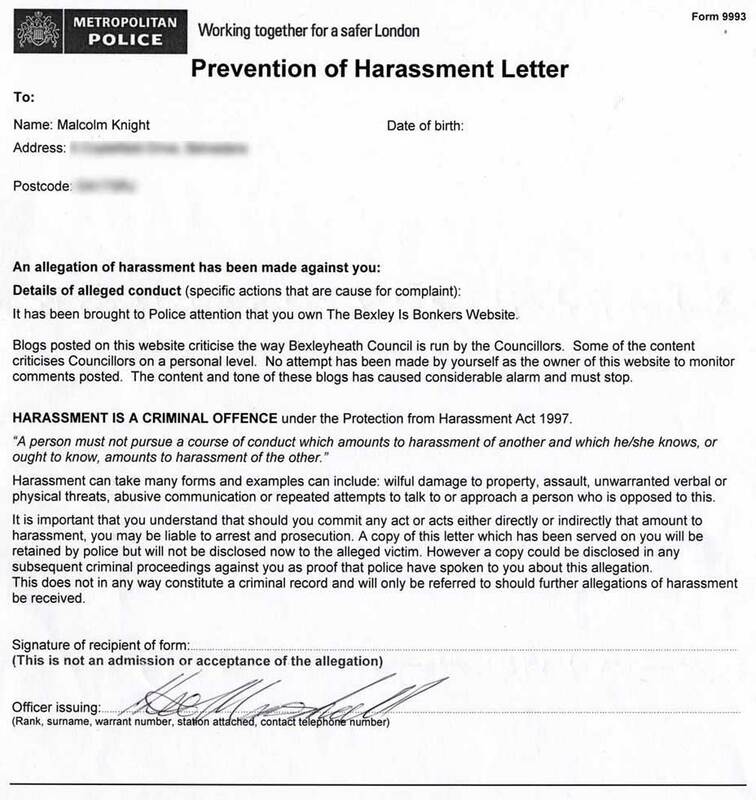 If they do bother to check the records in advance of issuing a notice, the mere existence of a harassment notice against somebody’s name is usually all the the evidence the police need to decide who is the victim and who is the aggressor. The police will tell you that an allegation of harassment has been made about you by a third party. 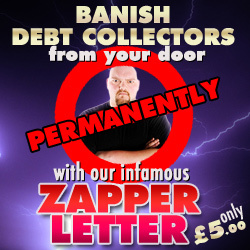 Irrespective of anything you say in your defence, you will be handed the notice and asked to sign it. NEVER EVER SIGN FOR A PIN. Not only are you under no obligation to acknowledge the allegations, the mere signing of it will be used as evidence against you should a charge of harassment be brought at a later date. 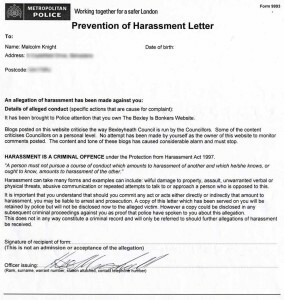 It’s up to you if you choose to take a copy of the harassment notice unsigned. Accepting it without signature is no proof of admission and CANNOT be used against you. Furthermore, the police cannot insist you sign for it as a condition of it being handed over. If they insist, it can render the document useless as future evidence as well as give you a valid complaint against the officer concerned. Refusing to accept the document will not prevent the police from entering the allegation onto police computers. Chances are this will have been done before the notice is even delivered. Regardless of how angry you may feel on receipt of this notice, we would advise against saying anything to the police at this stage, except to emphatically deny all the allegations. There is no need to go into detail. The issuing officer is unlikely to care about your side of the story and may insist he is there for no other purpose except to serve the notice. This is of course rubbish. If a policeman is at your door and you wish to make criminal allegations of your own, then the officer is obliged to record it. The first step to challenging a harassment warning is to lodge an official complaint. You can do this via e-mail. 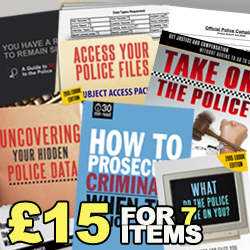 A full list of all the professional standards departments of every police force in Britain as well as a detailed methodology for making effective complaints against the police can be found in our Ebook Take on the Police and Win. In your complaint you should set out your version of events. You should then dispute each of the allegations contained within the harassment notice. If the allegations are a complete fabrication then challenge them as such. If you have witnesses who can support your account, then include a copy of their statements with your complaint. In fact any documenting evidence that you may have of the incident: video or audio, CCTV, third party witnesses etc. you should also submit. At the end of your complaint you should insist that the allegations be fully investigated or removed in their entirety from police computers. If the police fail to do so, then you could bring a county court action against them and obtain a court order demanding the data be destroyed. The data protection act (DPA) requires that intelligence stored on police computers must be “necessary, adequate, accurate/up to date and not excessive”. Under Section 10 of the Act you are entitled, in limited circumstances, to write to the police requesting that personal information likely to cause unwarranted substantial damage or substantial distress must be deleted. The Chief Constable of each individual force is registered as the Data Controller for such records and they have the authority to delete information. 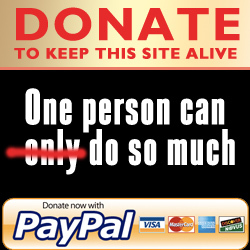 Should they refuse then you may appeal to the ICO (Information Commissioner’s Office). Under section 42 of the DPA any person can request the ICO to make an assessment if they believe that they have been adversely affected by the handling of personal data by the police. The ICO may then issue a compliance order instructing the police to destroy the data. Should you be unsuccessful on appeal to the ICO you can still pursue breaches of the data protection act through the civil court. Under section 14 of the DPA an individual has the right to seek a court order for the rectification, blocking, erasure or destruction of inaccurate personal data. Under section 13 of the DPA any individual that believes they have suffered damage or distress may be entitled to compensation from the police. Chief Police Officers have the power to delete any information held on either the PNC or local police computers. 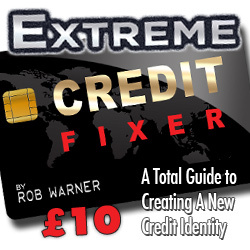 Deleting such information is known as ‘Exceptional Case Procedure.’ An individual can seek the removal of information from the PNC by applying under the Exceptional Case Procedure. Data deleted under this procedure usually involves that associated with unlawful arrest, or where an offence did not exist. However, the police will refuse to delete information simply because its disclosure might cause someone difficulties in finding employment. Unjustified police data that interferes with an individuals right to respect for their private life is a breach of Article 8 of the European Convention on Human Rights. If it can be justified by showing that the data serves the public interest in a sufficiently important way then a human rights claim may fail. However the burden of proving that the interference is justified rests entirely upon the police, something they may be wary of doing when it is cheaper, quicker and easier just to delete the data rather than face a long and costly court battle. By far the quickest and most effective way of having unfounded allegations removed from police databases is to trigger a review. This can be done by making a subject access request for all data that the police currently retain against your name. Specifically asking for “copies of harassment warnings stored on police databases” should automatically trigger such a review. The collection and management of data on police databases is regulated by the Data Protection Act 1998. It is also subject to the Code of Practice issued by the Home Secretary under the Police Acts 1996 and 1997 and the Guidance on the Management of Police Information published by the National Policing Improvement Agency. Paragraph 7.4 provides that all records which are accurate, up to date and necessary for policing purposes should be held for a minimum of six years to assist forces in identifying offending patterns over time. After that there should be a review in order to determine whether it is still necessary to keep the record for policing purposes. 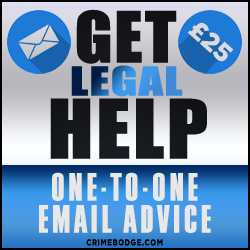 GET ONE-TO-ONE LEGAL HELP RIGHT NOW!